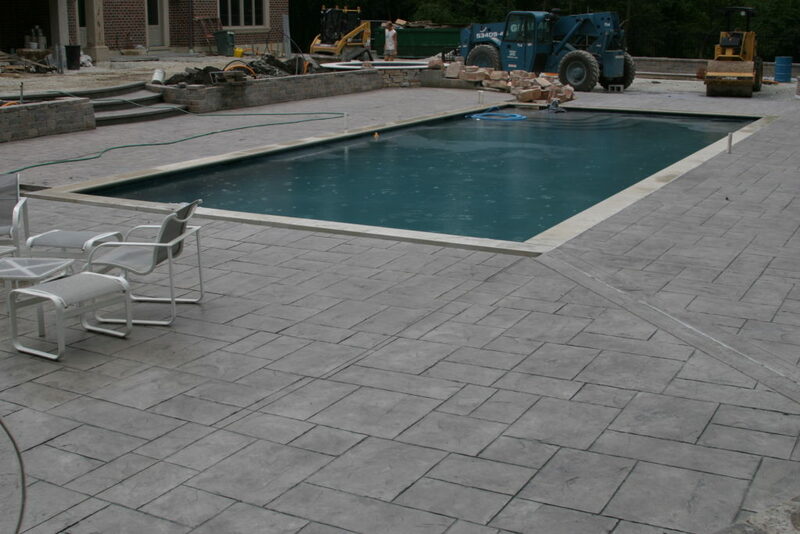 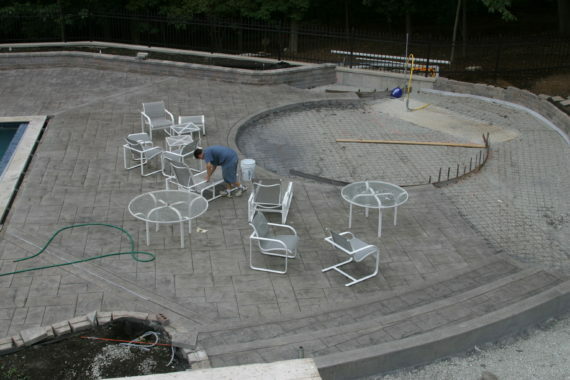 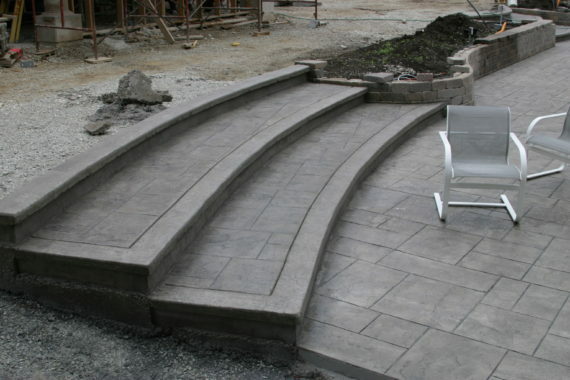 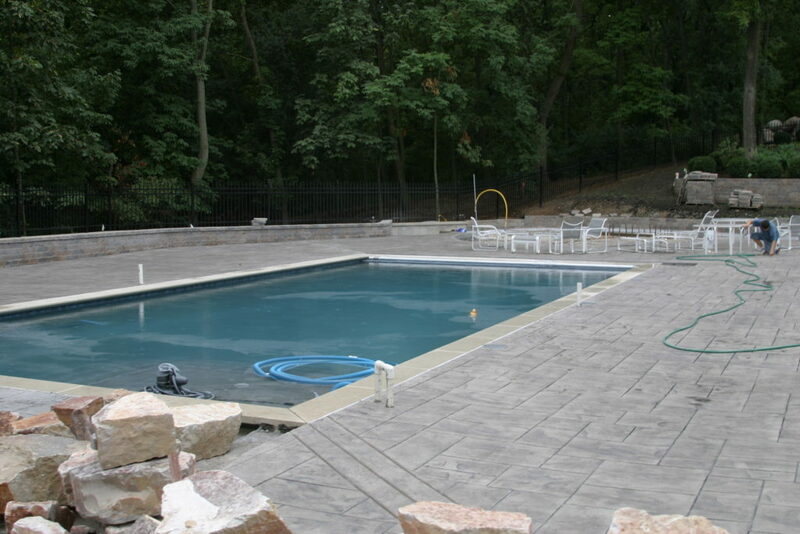 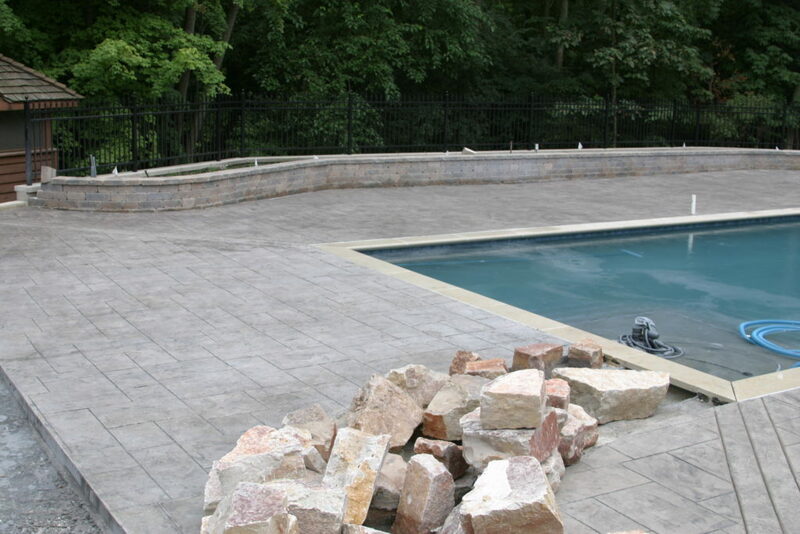 Stanley Company was contracted to design a custom swimming pool deck area, as shown in the pictures. This was a large project with custom built-in landscaping areas, custom walls, steps, ambient lighting, and eating areas. * Stanley Company does not install swimming pools or jacuzzis; however, we can do custom pool decks, patios and walls as done in this project.